The Membrane Interface Probe (MIP) and the Hydraulic Profiling Tool (HPT) are both powerful site investigation tools in their own right. With the recent introduction of the MiHPT system you can now double your production rate as these two systems become one. Numac has just commenced operation of the new system and clients are immediately impressed with the ease you can now correlate the VOC and Hydraulic inputs. The new probe detects volatile contaminants with the MIP, measures soil electrical conductivity with a standard (MIP) dipole array, and measures HPT injection pressure using the same down-hole transducer as the Geoprobe® stand-alone HPT system. 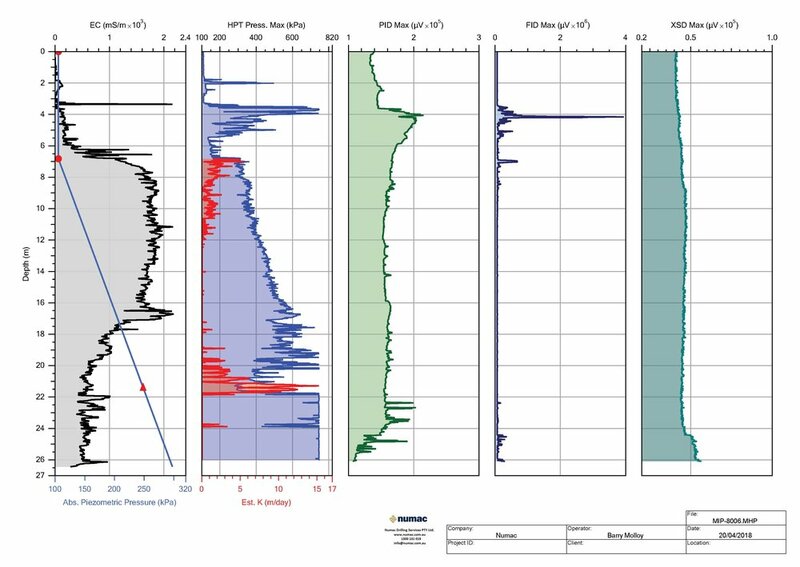 In post-processing the log data the user is able to estimate hydraulic conductivity (K) and water table elevation, as well as prepare graphical outputs of the log data. The probe is robust and percussion driveable (hammerable) with Geoprobe direct push machines. 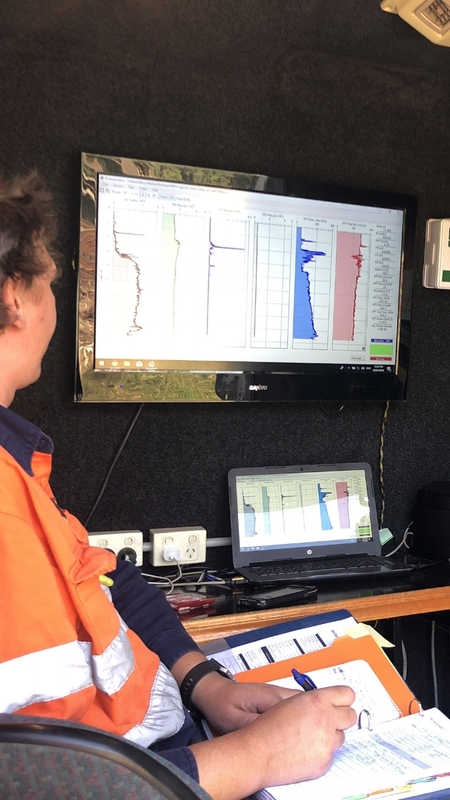 Daily production rates are well in excess of standard sampling techniques ensuring that site assessments are completed in shorter time frames than conventional drilling surveys. The high density data makes it ideal for use with modeling software and facilitates the quick and accurate development of conceptual site model in 2D and 3D.